There is a huge difference between saying things that other people find funny, and having a good sense of humour; if an autistic person takes things literally, and gets things wrong this could well be amusing for others around them, but it isn’t the same thing as having a good sense of humour, and being deliberately funny. And it should go without saying that a sense of humour isn’t just something that is connected to autism. The reason people point to it as a positive of autism is that autistic people often have a particular way of being funny. This could be a collaboration of multiple things: firstly there may not be the same social restrictions stopping them joking and laughing about certain things, and also – in much the same way that because autistic people’s emotions tend to be expressed differently – they can find themselves crying, and feeling upset in seemingly ordinary situations. There is also a tendency for autistic people being able to joke about more serious issues – not in an unkind way; because autistic people also have a good eye for detail, and often strong imaginations, observational and situational humour can be quite common. All of these possibilities could be contributing factors. But what seems more likely is that sense of humour has nothing to do with autism itself. It seems to be more of a case of this not being affected negatively by autism; different people will have different senses of humour, and it might not always be the person themselves being funny, just them finding something funny. But it doesn’t matter what is amusing the person or what they are saying; when autistic people can struggle so much with recognising and expressing their emotions, then the expression of a laugh or a joke may take on a new kind of importance. Another reason why it is important to express this as a positive is because for so many years it has been assumed that people with autism have no sense of humour whatsoever; that they don’t respond to anything amusing, and are certainly incapable of making jokes. This stereo-type should have been left behind, but sadly it appears to still exist. And therefore anything that can go some way towards changing it is a positive. There are autistic stand-up comedians, so even though some autistic people may struggle to understand jokes, to imply that people with autism are incapable of ever understanding a joke of any kind is obviously nonsense. There may well be elements of autism that shape peoples sense of humour, but a good sense of humour isn’t necessarily a by-product of autism itself. 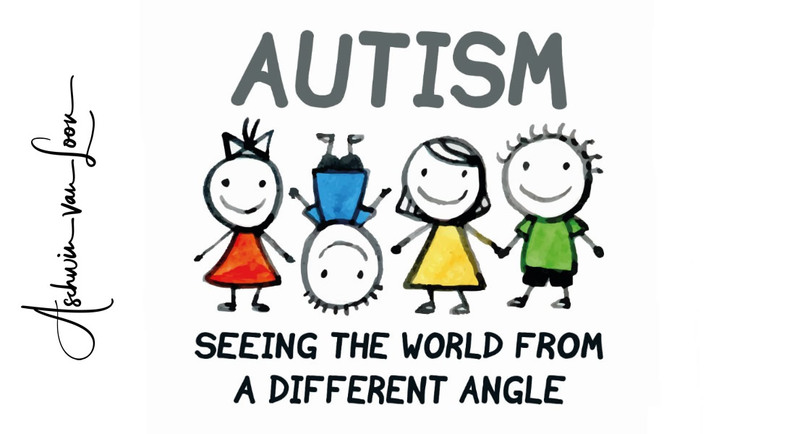 Consequently, it may seem strange to include this in a list of positive traits of autism, but the amount of parents and people with autism who mentioned it when asked `what do you think are the positive traits of autism?`, make it impossible not to do so. In a way, what is more important to take from this is how it is completely different from the stereo-type of people with autism. The concept of people with autism having a sense of humour is in itself positive, as it is so far-removed from the portrayal of autistic people by society. So what do you think about autism and having a sense of humour?